I’ve travelled to Osaka many times and in my most recent trip, I brought along a friend who was on her maiden journey to Japan. She remarked, “The sushi in Japan must be so fresh and awesome!” Well, yes I’ve eaten great sushi at Tsukiji Fish Market in Tokyo. 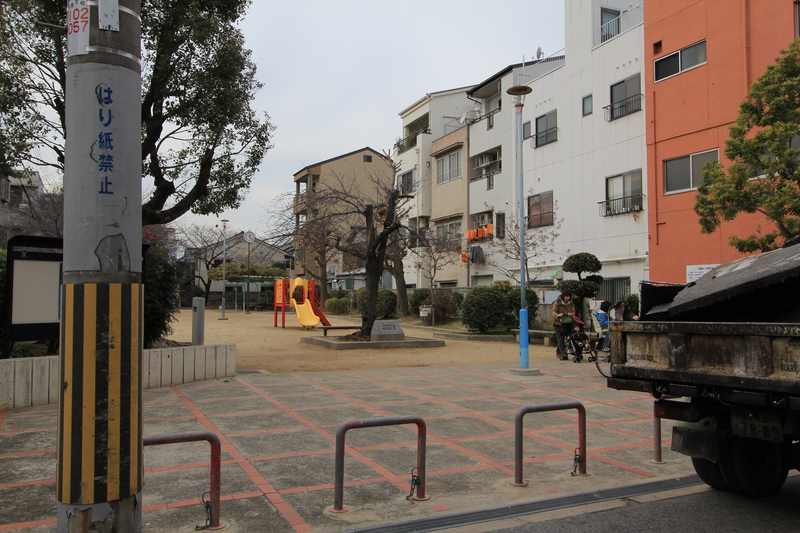 However as we were heading to Kansai area, I wondered if there was anything similar in Osaka. As usual, I trusted google to fetch me the best finds. Ta-daaaa!! 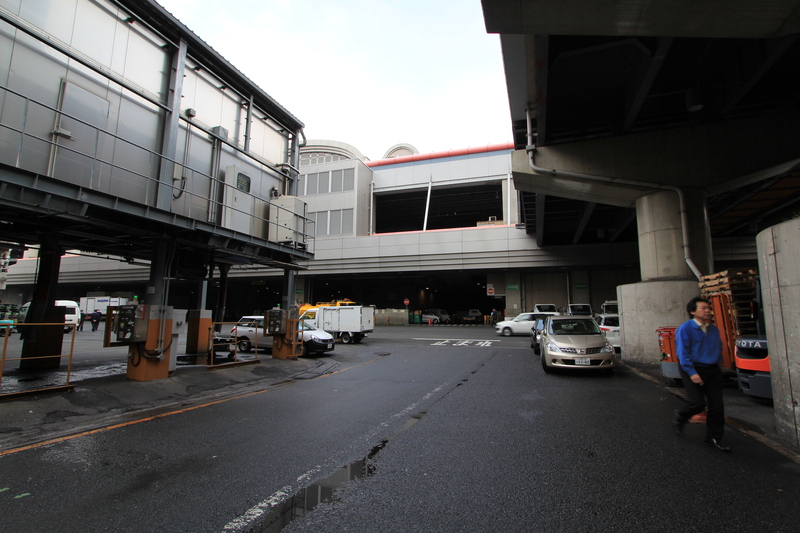 Osaka Central Wholesale Fish Market – Osaka’s humble answer to Tokyo’s Tsukiji. 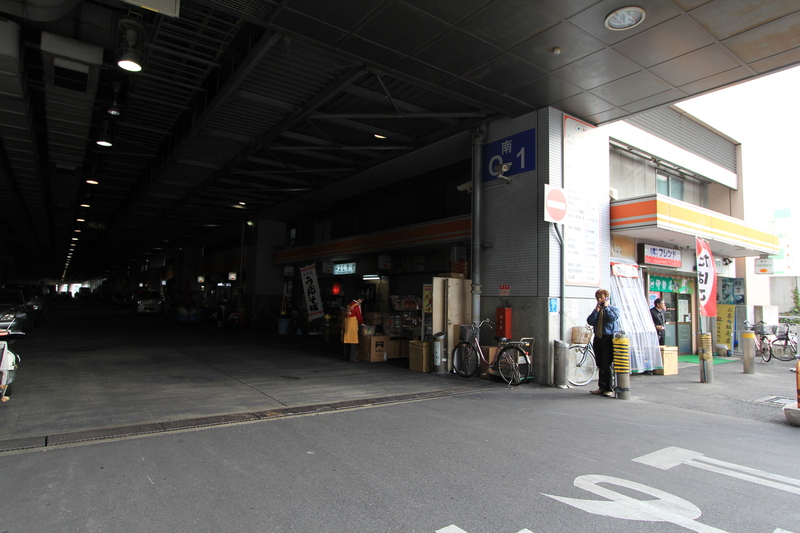 This is a small wholesale market which is definitely not as big or well known as Tsukiji, and is located at a sleepy residential area next to a river. 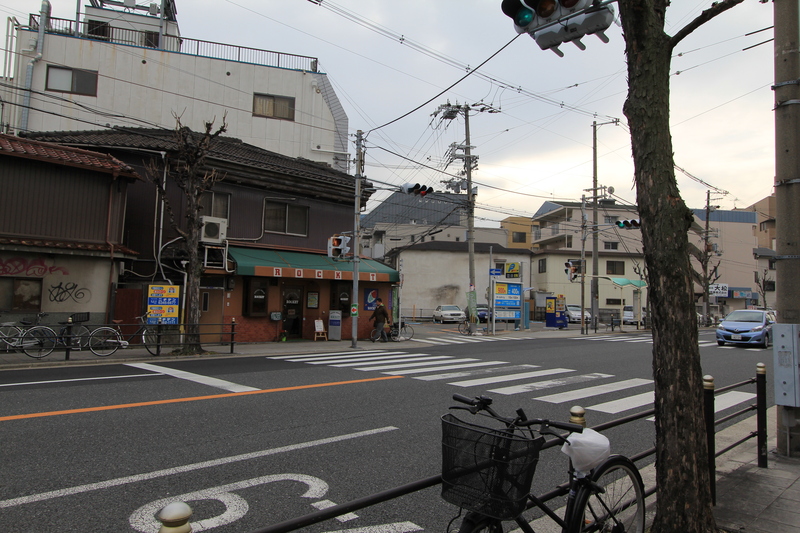 As it involves a 15min walk from JR Noda station 野田駅 (Osaka Loop Line) and some serious navigation around a residential district, I’ve included pictorial road directions below for serious foodies. I did not wake up in the wee hours of the morning (ie. 4am~) to visit the fish market. But some searches on the internet do state that there are similar tuna auctions action going on in the early hours. The only reason why I made the effort to go there is for Endo Sushi (ゑんどう寿司). Oh man, this is so good that I can have this everyday when I’m in Osaka! 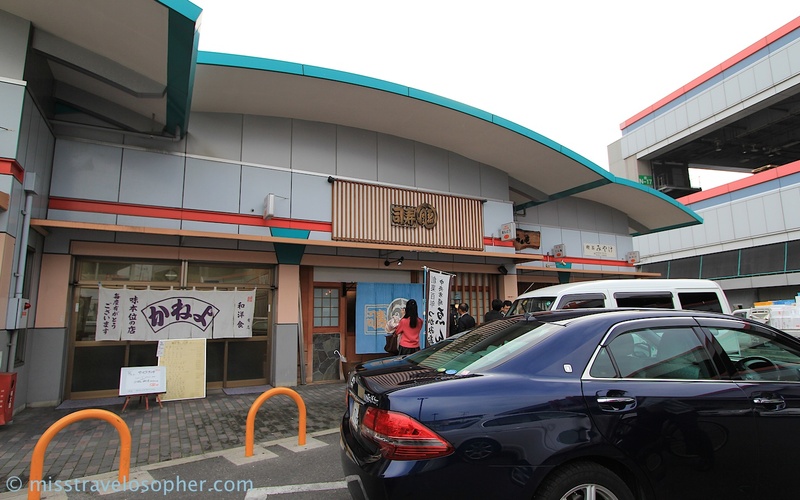 There are just a couple of restaurants at the market, but none had so much business other than Endo Sushi. By noon, there was a beeline of office workers queuing outside this little tiny shop. 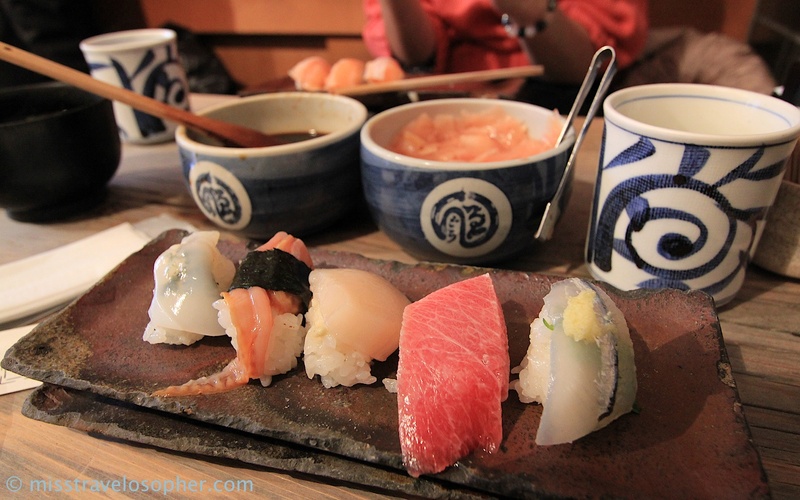 The history of Endo Sushi goes way back more than a century to 1907. Currently, it is being run by the 4th generation. 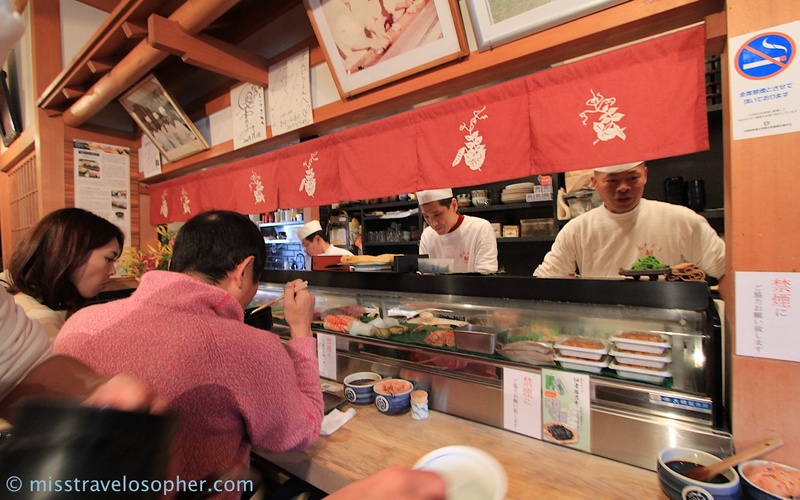 What is popular here is the ‘omakase おまかせ’ style of ordering or ‘chef’s choice’. One serving of ‘omakase’ sushi consists of 5 pieces of sushi (1,050 yen/serving) where 1 piece will definitely be a toro sushi. In the background of the photo of my 2nd ‘omakase’ sushi, you will notice 2 porcelain pots containing shoyu (soy sauce) and pickled ginger. Interestingly, eating sushi at Endo Sushi doesn’t involve the usual plate of soy sauce where one will dip the sushi into. To add shoyu to your sushi, you actually ‘apply’ the shoyu onto the raw fish using a brown wooden brush. There isn’t any wasabi (grated horseradish) in sight as well, as the wasabi is already added to each piece of sushi. The sushi at Endo is really delicious 美味しい!!!! I could taste the freshness and sweetness of the raw fish with every single bite, and I swear there is a salty tinge of the ocean too! I really wanted to eat more, but unfortunately I am a small eater and I maxed out after ordering ‘omakase’ twice. 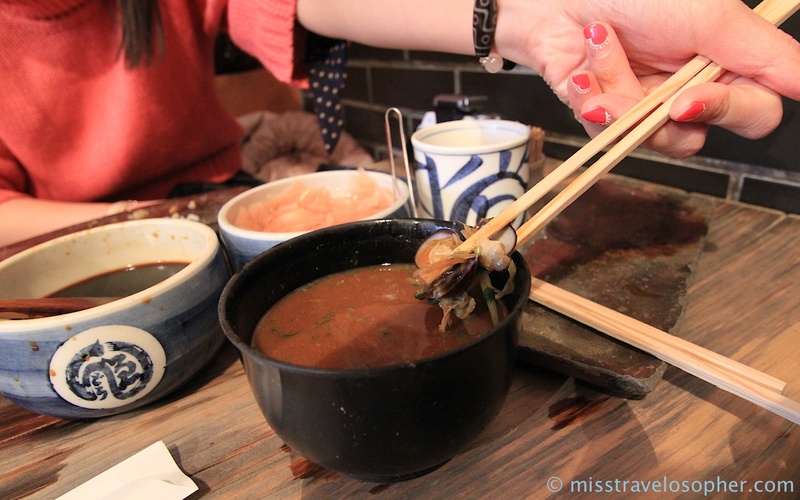 Another popular item is the clam miso (soybean paste) soup. The taste of the miso soup was rather unique as it tasted different from the miso soups which we get from most restaurants. Apparently, this is a special recipe which involves blending several types of miso to derive this red colour in the soup. The serving of clams was very generous and it was loaded with clammy goodness. Endo Sushi is indeed a gem of a find! We had really happy bellies after such a yummy sushi breakfast. 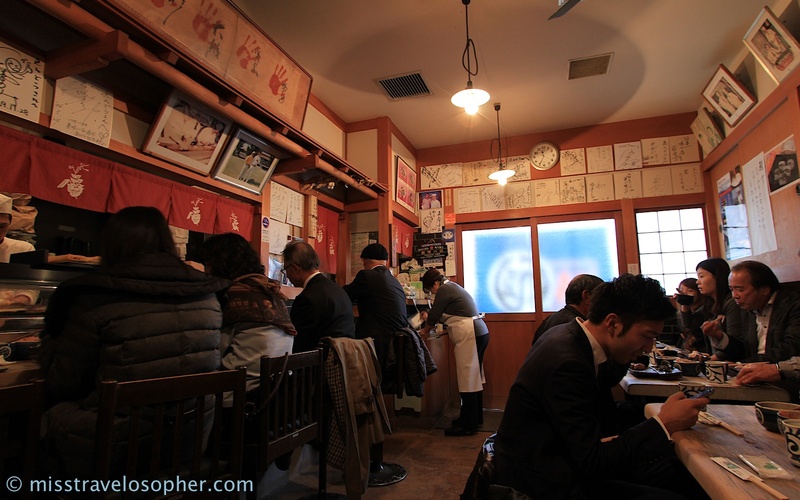 If you are looking to have a simple, satisfying meal in an unpretentious environment, try to visit Endo Sushi when you are in Osaka! 1. 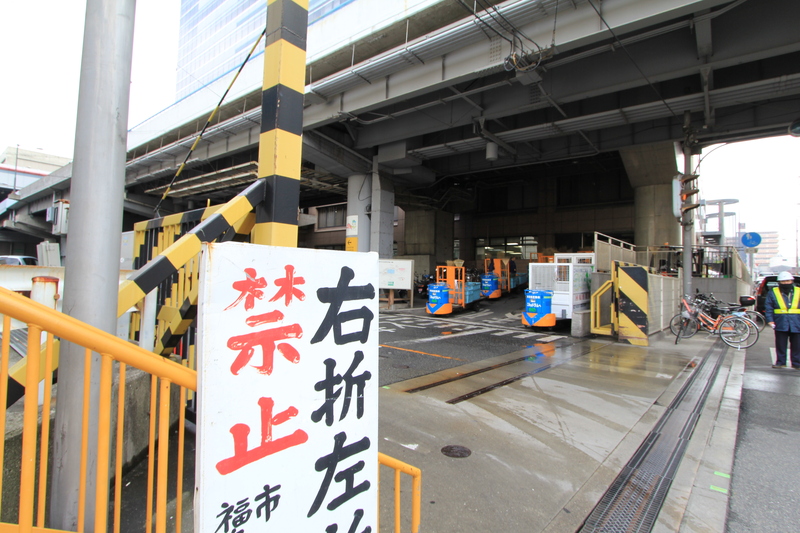 At JR Noda Station, turn right after you have exited from the ticket gantry. Turn right again upon exiting the station at the main road. Walk straight (on your right you should pass by a convenience stall) until you see the something like the photo on the left. 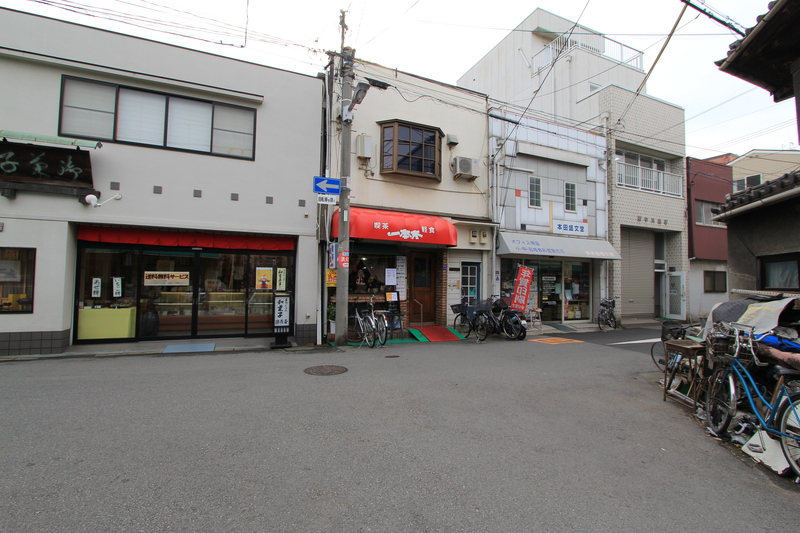 Cross the road towards the shop with this green awning and walk into the street to the right of this green awning shop. 5. Walk till you reach this flyover. There should be a fishy market smell in the air by now! 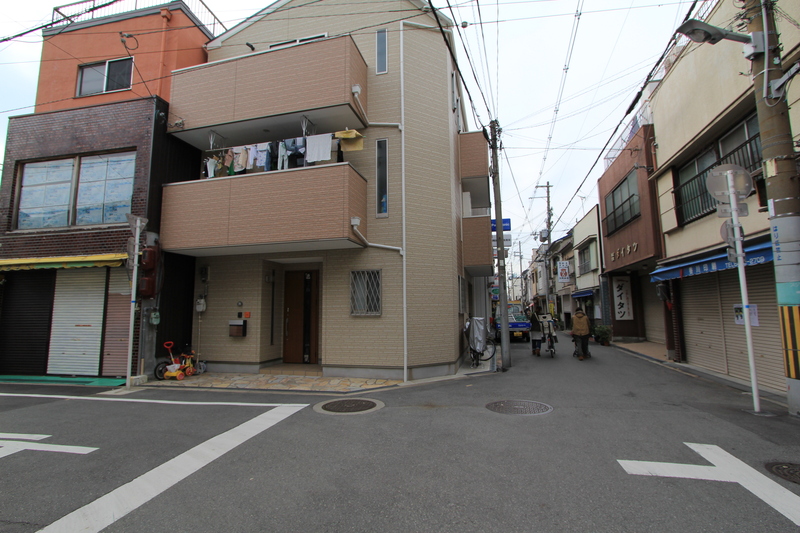 Turn left ~ reaching soon! 6. You should be seeing this which is the compounds of the market. Turn right when you reach the end of this stretch at the T-junction. 7. When you see the convenience stall, turn left before it and walk into the dark covered driveway. Walk till you emerge from the darkness and veer towards your left where you should see the turquoise roof rim of Endo Sushi on the right side, and a carpark area. 8. Ta-daa!! Reach!! Going by the directions above, you should be coming from the back of the sushi shop. Thanks yorimcha! I’m happy to introduce good places which I’ve found 🙂 The sushi was really awesome… I hope to return and eat soon too!! I have wanted to go here for ages. I will be in Japan next week and you have inspired me to actually do it this time! Can’t wait. A big arigatou for the post. Thanks to your post, I was fortunate to visit Endo Sushi when I was in Osaka last week. It wasn’t to hard to find although the tricky part was to cross the lot without getting hit by a truck. My husband and I were there around 10am and there were only 4-5 other people so we were seated right away. We managed to get through 4 trays, with the fourth being a special request of pieces we enjoyed in the previous three. The sushi was amazing and my favorites were the toro, uni and tako. I agree the miso soup was different from anything we tasted and we enjoyed it very much. The staff was very nice and accommodating. My husband, who tends to prefer California rolls, was converted after this experience. Will definitely go back if I have the chance. You have a great blog filled with lovely writing and beautiful photos! Thanks for visiting my journey, it means a lot! Hi, thanks for the detailed description and great pics on how to get there. We made it to Endo Sushi yesterday based on your perfect directions. The sushi was perfect too! Mmmm I’m still thinking about it..
Great post! I’ve been searching for a spot just like Endo. Looking forward to checking it out. 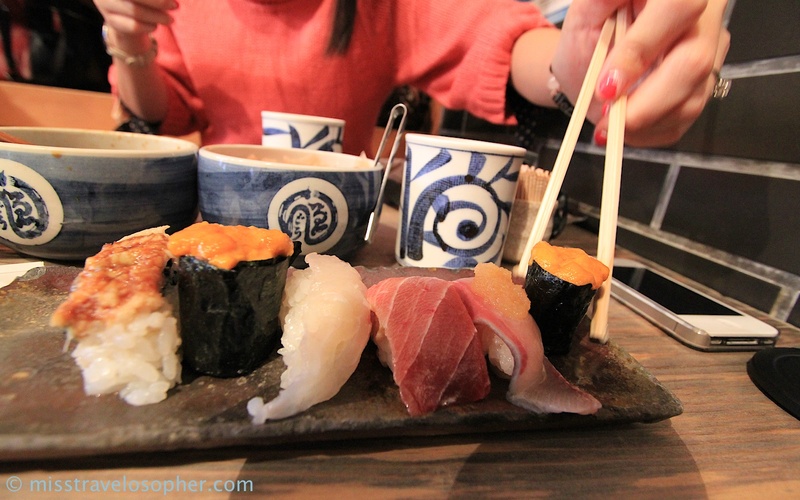 Is the Sushi as good or better than Sushi Daiwa in Tokyo in your view?